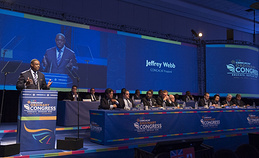 NASSAU, Bahamas, April 17 /PRNewswire/ -- The Confederation of North, Central America and Caribbean Association Football (CONCACAF) celebrated today its 30th Ordinary Congress and 21st Extra Ordinary Congress in the Bahamas, confirming President Jeffrey Webb to a second term in office while focusing on continuing reforms that have strengthened the organization. 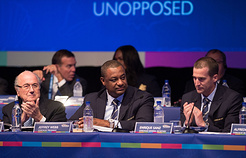 Other members of CONCACAF's Executive Committee were also elected. 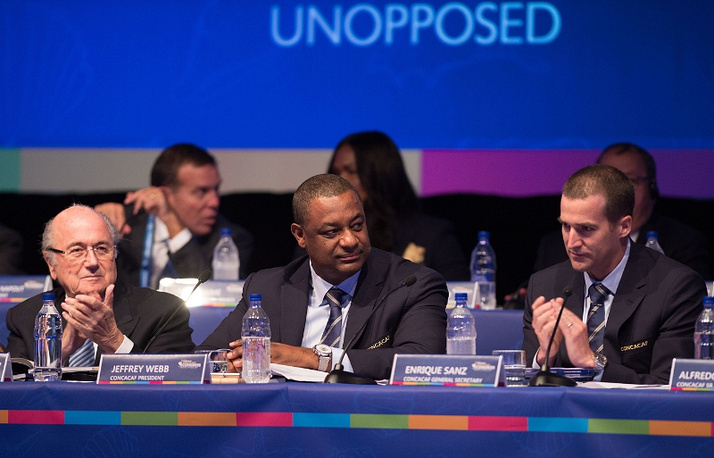 "CONCACAF is—more than ever—united by one vision," said President Webb, who ran unopposed. "We represent our region on the global stage with one strong and cohesive voice. The invisible barriers that have hampered the region's progress for decades are diminishing, and we are seeing unprecedented levels of success both on and off the pitch." "What makes the strength of this Confederation is solidarity and unity," said President Blatter, who said CONCACAF should receive a fourth spot in the upcoming World Cup. "For this remarkable leadership, congratulations to Jeffrey Webb and compliments to Concacaf Executive Committee and Member Associations." Ms. Sonia Bien-Aime, CONCACAF Executive Committee Member, updated the Congress on initiatives in the Grassroots Development of women's football including the youth development, Under-15 Women's Championship, the successful Let's Develop Women's Football Seminar, and the upcoming Women's Football Day. The Finance Committee presented its annual report, which reflected growth above projections in the governing body's finances. The Congress also approved the budget for the next four-year cycle. The Director of Development gave updates on successful programming carried out in youth development, and initiatives designed to bolster Member Associations across the Confederation in women's and youth football, as well as Beach Soccer. The Director of Communications and Marketing highlighted the robust growth of following in the Confederation's social media and marketing initiatives, while introducing the Confederation's CONCACAF TV channel, set to go to market this month. The Director of Refereeing reviewed the success of the Confederation's referees on the field, as well as the development and ongoing training of women and young referees. A general area of focus of the Congress was unity and democracy, as the 41 Member Associations widely voiced support of President Webb's work over the past three years, before unanimously re-electing him to a further term. "Three years ago, I ran on a platform of unity, development and enhancement, with a promise to advance our sport and unite the region around it. These were lofty goals — and I fully acknowledge, possibly unattainable ones -- without you," said Webb during his speech. Additionally, the CONCACAF Integrity Committee, an independent panel that has examined the organization's functions, reported that following the release of its Report of Investigation, the Confederation has fulfilled more than 30 recommended reforms promulgated by the Committee.